El Museo de la Basura, the single-day exhibition we organized in May 2015, was a great success. 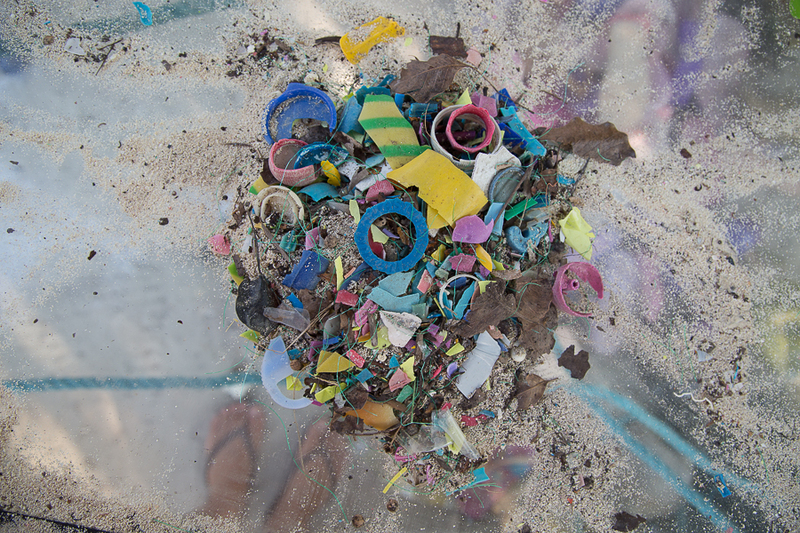 Thanks to the enthusiastic participation of the community in Punta Allen we were able to conduct a beach clean, provide tours of the Museum of Garbage, and engage with the local children in environmental art and action workshops. Alongside community members, we conducted a beach clean along the coast of the UNESCO World Heritage site. All together, we were able to remove garbage from 2 miles of shoreline, which totaled to 1700 pounds of plastic. Through workshops and the Museum of Garbage, I want to empower the youth of the region to have their voices be heard and enable them to express themselves through co-created plastic installations. These concepts were manifested through the children writing “Messages to the World” and the production of a gigantic swirling star installation. One simple, yet powerful phrase that a child wrote was “Tu Basura, Mi Lugar” meaning “Your Trash, My Home”. It is my hope that the children’s messages will bring about greater respect for individuals who are unjustly bearing the weight of other nations’ pollution, encouraging change and social responsibility. I look forward to the evolution of this project and the continuation of these community events. The possibilities for growth are endless, from establishing deeper connections within the Sian Ka'an community, to linking scientific research with artistic expression, to bringing awareness to the global threat of plastic pollution, and finally, to inspiring civic engagement and individuals to take responsibility for their actions. Through this creation of dialogue across cultures and across disciplines, the Washed Up Project will continue to bring much needed attention to this global environmental crisis.